JA University is template for Joomla 2.5 & 3. It is an Education themed template (just like its name) that every institution will appreciate for its simplicity, clean design and professionalism. It is enhanced with great K2 styles comes in 9 colors. JA University comes with bonus styles and pages to showcase events, videos etc.., you can check them out in the live demo. 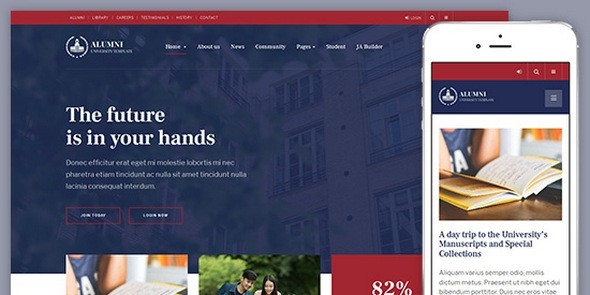 JA Alumni Template is dedicated Joomla template for Alumni and University website with all provided layouts, pages and functionalities. The template supports EasySocial component with customized style to build Community / Forum page, it also supports all Joomla default pages: category blog, contact, login, etc to save you lots of time to build complete alumni, university website.. 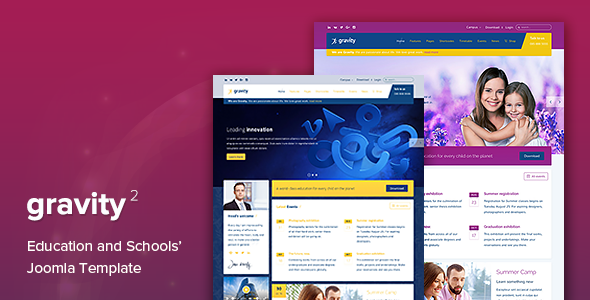 Gravity is an education, academic courses, school, university or college Joomla template designed for educational institutions. It comes with 8 beautiful color styles, timetable scheduler, events components, custom widgets and quickstart sample data to get you up and running fast. 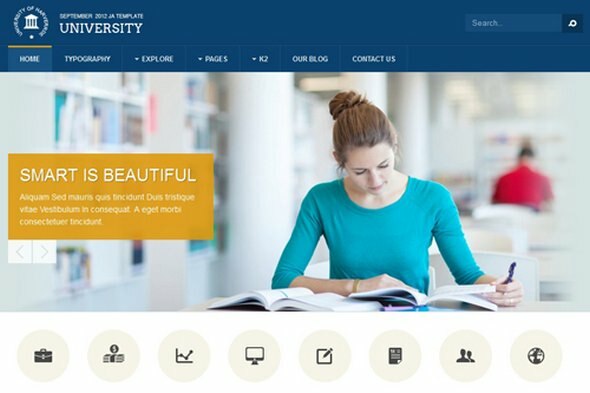 It is a perfect new Joomla 3 template for Universities, schools, colleges and other educational websites. JA Platon supports Kunena - Joomla forum component and Jomsocial 4 - Joomla social networking extensions. With Kunena, and JomSocial 4, Platon creates not only school websites but also discussion boards, forums and social platforms for educational organizations. Universal education Joomla template with handy components to display school activities. 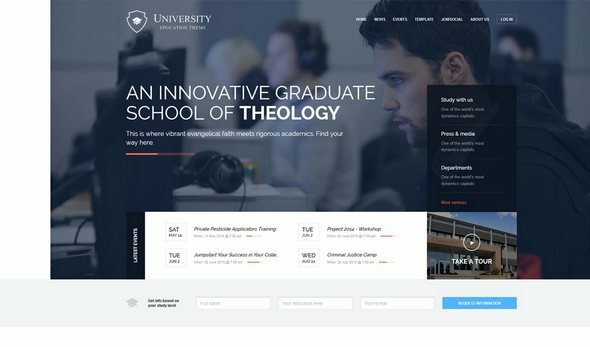 Creating an amazing university website with this template is a piece of cake. Use DJ-Tabs component (tabs view) for special category of your school departments. Choose from a wide range of Glyphicons to attract students attention. The elegant accordion view may be used for presenting news or worth to read articles. SJ University II - An exclusive Joomla 3.x Template for school/education website with K2 and Kunena component integrated. This stunning theme is perfect for colleges and schools to have a dignified, respectable website that's also packed with modern web-development tricks and social features to provide a informative, contemporary experience for students and staff alike.